This University wide competition is open to all students, graduates and undergraduates and held in the Spring term. 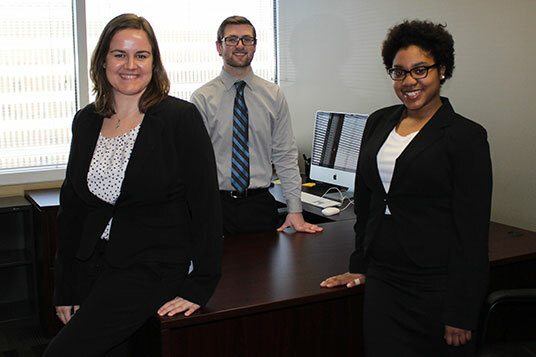 Students formulate an idea, develop a business plan, and pitch their idea to a panel of judges. 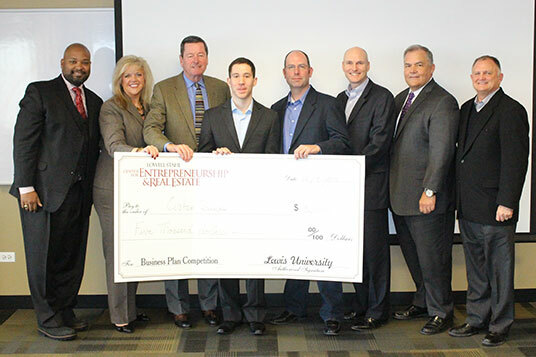 The winner(s) of the competition earn $5,000 to be used towards their business venture. A University wide competition open to all Lewis University students who have a new business idea or product. Before committing to writing a business plan, students can pitch their idea or concept to other students, alumni, faculty and staff and receive immediate feedback. The First and Second place winners are selected by a panel of judges. The Student Choice award is selected by the event attendees. Lewis Entrepreneurship Week (E-Week) is an engaging collection of events focused on all things entrepreneurial within the Lewis U community. E-Week provides Lewis students, alumni, faculty, and staff the opportunity to network and explore activities around entrepreneurship and business startups. All E-Week events are free, and members of the public may attend. is the premier global entrepreneurship network serving more than 20,000 students through 400 chapters at colleges and universities. 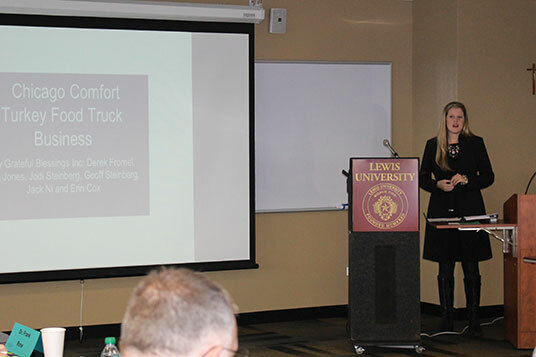 The Lewis chapter of CEO is a student-led organization that fosters interest in the field of entrepreneurship. Its focus is to inspire, connect, and support students to succeed as entrepreneurs. CEO offers mentoring relationships, activities for entrepreneurship development, and experiential learning through competitions. A five credit undergraduate certificate may be earned in Entrepreneurship. Graduate students and alumni are welcome to enroll. Course topics include: Skills & Strategies, Negotiations, Business Ownership, Finance and Creating a Business Plan. This minor is designed to be an interdisciplinary program allowing students in any major to learn the process of entrepreneurship. The Minor is founded on the understanding that there is a common process for the realization of new ventures, and provides students with the background to undertake entrepreneurial activity in whatever realm they wish to inhabit. The minor includes an Intro to Entrepreneurship course and Venture Creation course as well as a host of electives. The Stahl Center of Entrepreneurship and Real Estate is located in St. Charles Borromeo Center, SB-132A on the Romeoville Campus. Contact: Kristin Burton, Director, burtonkr@lewisu.edu, Phone: (815) 836-5092.